Okay, this is getting weird, considering what I have just previously written about borrowing the Malay-German word Amoklauf. 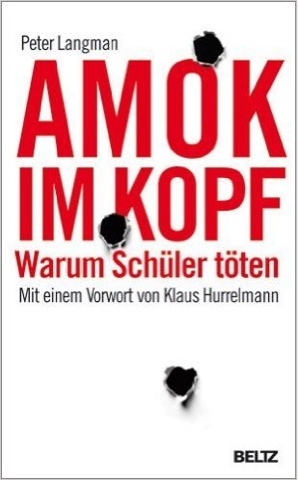 A copy of the above book Amok Im Kopf was found in the Munich shooter's room. German police say he studied school and other mass shootings, and hacked into a woman's account on Facebook to lure children to the McDonald's for free meal items. It's become quite apparent: He picked the date because it was the 5th anniversary of Breivik. 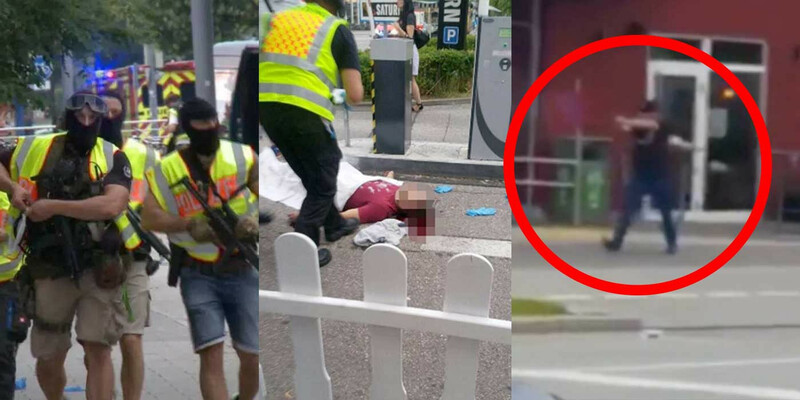 Someone on Twitter claimed the Munich shooter used a photo of Breivik as his WhatsApp profile pic. "Obvious link" between Munich gunman and Norway's mass killer Anders Behring Breivik, German police say, the day after. He appears to have been born in Germany, of Iranian descent, but was extremely xenophobic, anti-immigrants, during the shouted statements he made to his victims and eyewitnesses. Amoklauf in Munich. At a McDonalds. A mall. Another day, another rampage - a shooting rampage - hit Germany on Friday, July 22, 2016. Today is the 5th anniversary of the Norway: 7.22.11 Breivik Attacks. The attack was revealed to have a strong rightwing foundation. 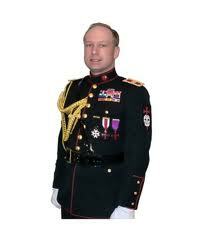 The Breivik events assisted me in predicting the Aurora shootings. 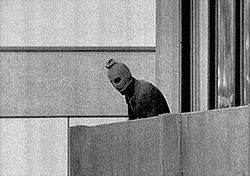 Now this German attack in Munich, a location heavy with terrorism history tied to the Olympics, as the August 5th date for the 2016 Summer Olympics nears. Well, Loren, no sooner do you invite the word Amoklauf into our language than another Amoklauf happens --- and in Germany, specifically in the city of Munich where I was stationed in the US Army exactly 42 years ago. ~ Tom Mellet. The shooter targeted children came the early reports said. Children at a McDonalds, next to the Olympia shopping mall. Reports of multiple shooters - up to three - probably were wrong, as they have been lately. At least nine people were killed when gunfire erupted at a shopping center in Munich, Germany, in what police officials said "looks like a terror attack." Munich police have verified that one of the ten dead bodies was the shooter. The shooter has now been identified as an 18-year-old Iranian, who has been living in Munich for more than two years. Police said no one was in custody, and the city was under a virtual lockdown, with residents being urged to stay home, restaurants and other business closing and public transit shutting down. 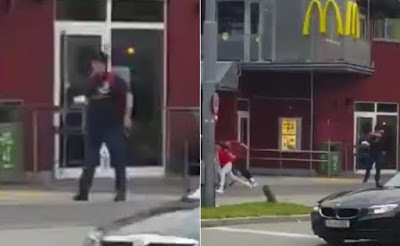 The shooting broke out at a McDonald's across from the Olympia shopping mall at about 5:50 p.m. local time, police spokeswoman Claudia Küntzel said. Shots also were fired inside the mall, witnesses said. On Facebook, police said gunfire was reported in several locations and that witnesses said they saw three people with firearms. These reports appear to have mistaken. A witness identified as Lauretta told CNN her son was in a bathroom with a shooter at the McDonald's. "That's where he loaded his weapon," she said. "I hear like an alarm and boom, boom, boom... And he's still killing the children. The children were sitting to eat. They can't run." This McDonald's shooting was only days after another infamous McDonald's rampage. It also was laid to a motivation rooted in xenophobia, as appears the Munich one. The San Ysidro McDonald's massacre was a mass shooting that occurred in and around a McDonald's restaurant in the San Diego neighborhood of San Ysidro on July 18, 1984. The perpetrator, 41-year-old James Huberty, shot and killed 21 people and injured 19 others before being fatally shot by a SWAT team sniper. It will be noted that the first victim killed in this 1984 massacre was named "Caine" and another fatality had the first name "Aurora." The shooting ranked as the deadliest mass shooting committed in the United States until the 1991 Luby's shooting. It is the second deadliest shooting rampage in which the perpetrator was killed by police as opposed to dying by suicide, behind only the 2016 Orlando nightclub shooting. Just as the Micah X. Johnson Amoklauf in Dallas took place just 1/4 mile East of Dealey Plaza, so did the latest Amoklauf in the Olympia shopping mall in Munich take place 3/4 mile West of the Olympic Village Building 31 where the Palestinian terrorist group called Black September took the Israeli Wrestling team hostage at the Munich Olympics on September 5, 1972. Just 4 months later, on January 7, 1973, Mark Essex took to the Howard Johnson's rooftop in New Orleans to carry out his Amoklauf mission. ~ Tom Mellet. Let us also recall, beside the recent German train attack and the German cinema attack, there was a train station incident in May. On May 10, 2016, there was a 5 a.m. attack at the Grafing train station, near Munich, Germany. One person was killed, three injured, as the man with a knife was quickly arrested. He yelled "Allahu Akbar," Arabic for "God is great." The Grafing Bahnhof suspect was taken into custody with bare feet, and his shoes could not be found. It has been revealed Sonboly was undergoing psychological treatment for mental illness and was obsessed with mass-shootings. German investigators say there is an “obvious link” between Friday’s shooting at a Munich mall and far-right Norwegian killer Anders Behring Breivik. “The link is obvious,” said Munich police chief Hubertus Andrae, describing the gunman as obsessed with mass killings. He added the killer researched the theme of rampages and may have researched Breivik’s lethal killing spree. Friday’s carnage came on the fifth anniversary of right-wing fanatic Breivik’s massacre in Norway that killed 77 people, many of them youngsters. Better translation: "Amok in the Head: Why Students Kill"
Munich, of course, has deep links to Nazism. It's where the Nazi Party was founded and where the Beer Hall Putsch took place. The Nazis considered it the capital of their movement, and the first concentration camp, at Dachau, was built outside the city. Here's a brief article titled "Munich still haunted by Nazi-era buildings" and here's an extremely detailed webpage (with then-and-now pictures) headed "Traces of Evil: Remaining Nazi Sites in Germany." 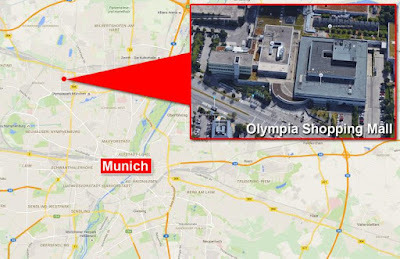 Also, according to a Twitter feed I ran across while googling, Munich was the site of a neo-Nazi bombing of Oktoberfest in 1980 and of neo-Nazi murders of a Turkish greengrocer in 2001 and a Greek locksmith in 2005. I just checked out that 1980 Oktoberfest bombing, and it seems the investigation into whether or not the bomber acted alone was reopened as recently as the end of 2014. Here's a New York Times article on the reopening and here's one (in English) from Der Spiegel. And here's a particularly creepy story from The Independent about a severed hand found lying in the mud at the time of the bombing that may have belonged to a co-conspirator and which has now "raised suspicions that a political cover-up stifled the investigation into Germany’s deadliest post-war terrorist incident." Sometimes it's not a good idea to reawaken the ghosts of the past. Sounds like a Shiite terrorist angry at Sunni immigration. He killed Turks and Albanians. German authorities said Sonboly had no links whatsoever to any Islamist groups. Coincidentally a reporter named Richard Guejahr witnessed and filmed both the Nice incident and this one in Munich. This article on Peter Langman is of interest. He's actually American, and the book by him shown at the top of this post is a German translation. The U.S. psychologist who wrote a book about school shootings that investigators found in the Munich gunman's room says researching other mass killers can be a warning sign since young gunmen often are looking for role models — but it's just one of many possible indicators. Peter Langman, author of two books about school shootings, told The Associated Press by telephone from Allentown, Pennsylvania on Saturday, that juvenile killers "more frequently study other shooters." Police in Munich said the 18-year-old German-Iranian gunman had a German translation of Langman's 2010 book "Why Kids Kill: Inside the Minds of School Shooters," along with materials relating to a 2009 school shooting in Germany and the bomb-and-gun attacks in Norway by Anders Behring Breivik, who killed 77 people five years ago Friday. "Younger shooters in particular, meaning adolescents into their 20s, often research other shooters and find a role model. That is not something you see with the older shooters," Langman said.